I’ve lived in Guatemala for 2 years now, and I’m frustrated I can’t speak español like a 5 year old. Why? Upon reflection, it’s several reasons. First, Leslie and I have applied to the Peace Corps 3 times. One of those times, we were “under consideration” for the Philippine Islands so I stopped español for about 6 months and started thinking about Tagalog. Also, for long blocks of time I was back in the States doing FEMA inspections – while forgetting all my español! But Leslie and I have had a great foundation here. Last summer we spent 3 months in español intensivo. 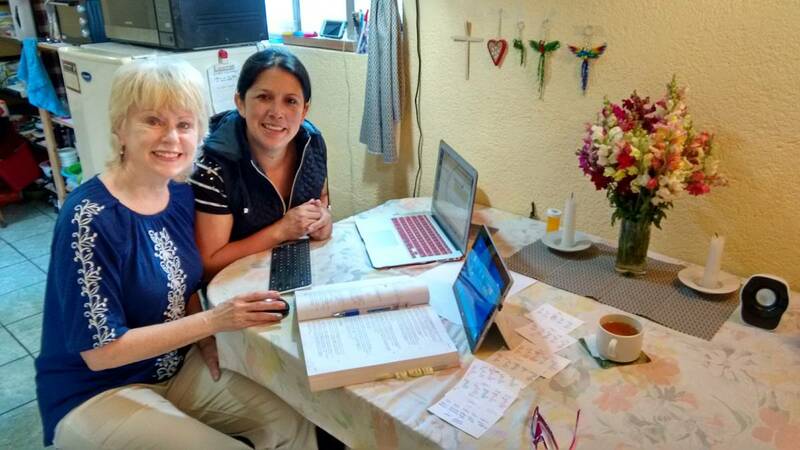 5 hours a day, one on one with a teacher covering the equivalent of 2 years of university Spanish. Last fall we applied again, this time putting Guatemala as our first choice. Then lo and behold, at the end of January, we were “invited” to serve in Guatemala. 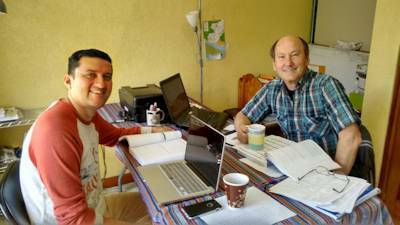 After time back in California getting our Peace Corps medicals done plus all the other background information completed (and re-leasing our home) we came back and have started private tutoring with a husband and wife team 3 hours daily in our apartment. while Rony and I work at the office table. Español is coming back fast now, but for me, reading is so much easier than listening or speaking. Why? Just look at my next post about all the different sounds and pronunciations from just one word!